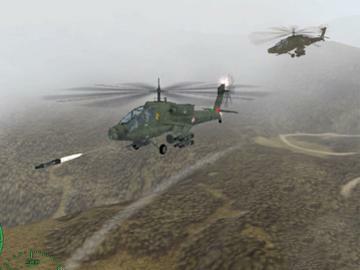 This helicopter is designed to survive heavy attack and inflict catastrophic damage on the enemy and your ground support is counting on you! 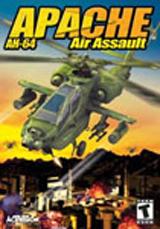 So reign from the skies as you pilot the Ultimate Weapon over hostile enemy territory. 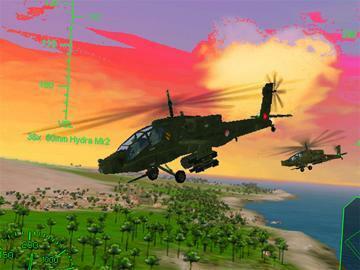 The AH-64 Apache is the primary attack helicopter in the U.S. arsenal. You're at the controls of the greatest war machine ever to enter battle! So grab the controls and cut a path of carnage across enemy lines and let the action begin. 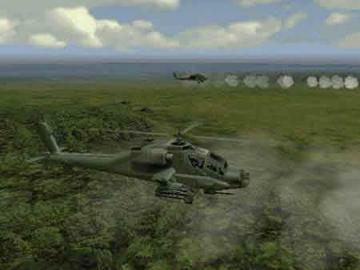 Fly the legendary Apache helicopter through 30 combat missions. Watch all the action in multiple views like cockpit, third-person and fly-by. Use powerful weapons like radar-guided hellfire missiles. Take out the enemys fortifications, including tankers, houses, factories and more.